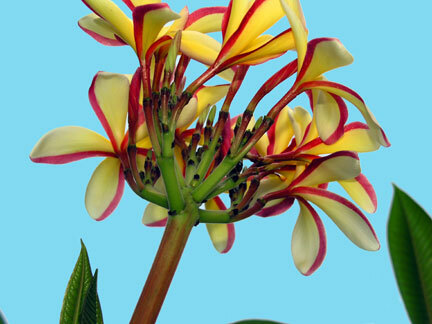 Wonderful recent discovery of a very unusual color for plumeria. 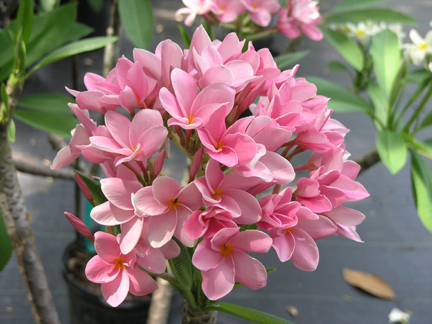 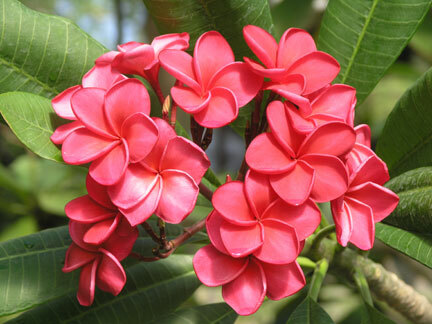 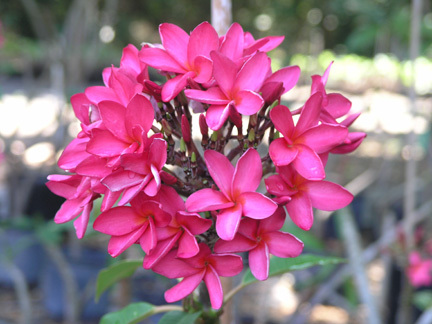 The obvious almost powder pink color is not duplicated very much in the plumeria world. 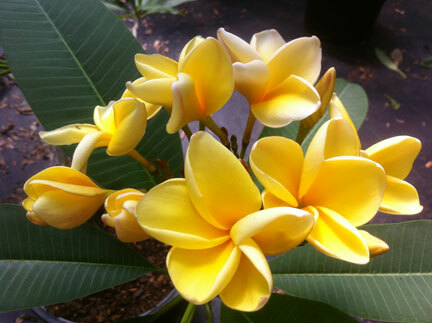 It has a very unusual growth pattern to the bloom stalk in that it has an outer ring of flowers with an upright inner ring growing on a totally different plane.